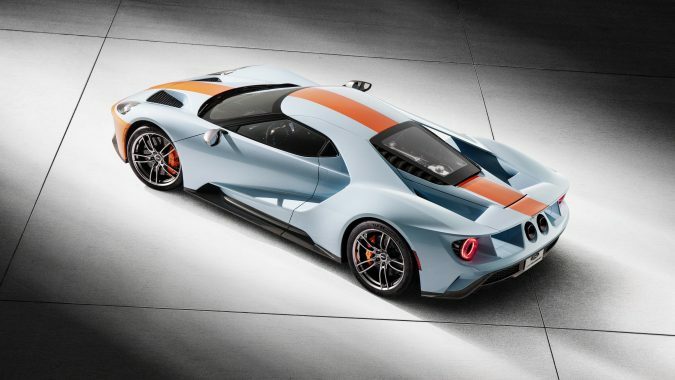 The most iconic racing livery to ever grace a Ford vehicle has returned with the Ford GT ’68 Heritage Edition that was introduced at various events during the recent Monterey Car Week in California. 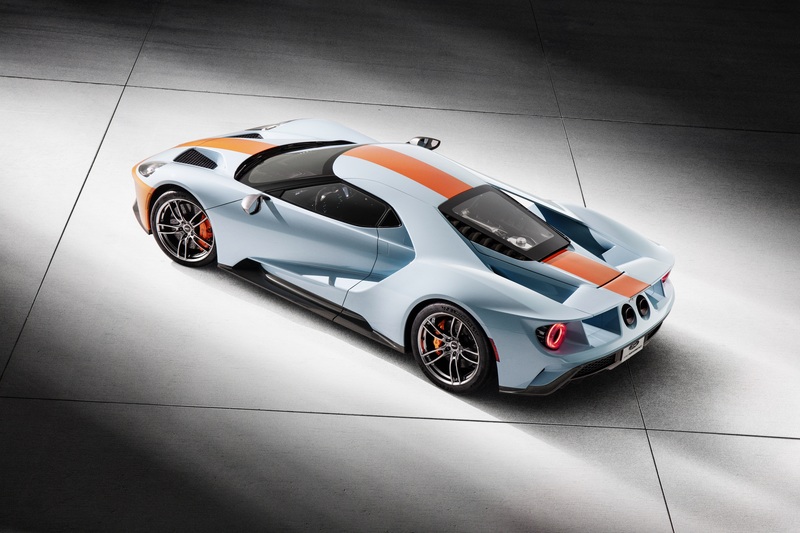 Gulf celebrated the 50th anniversary of its first Le Mans win, with the legendary Ford GT40, by joining with Ford to produce the new Ford GT ’68 Heritage Edition for the 2019 and 2020 model years. 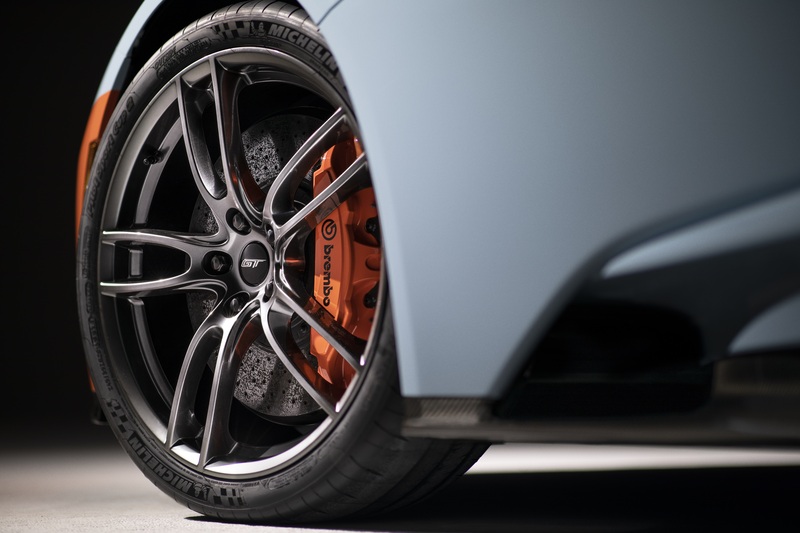 The Heritage Blue with Heritage Orange paint scheme honours the Gulf Oil-sponsored Ford GT40 – chassis #1075 – that won back-to-back 24 Hours of Le Mans in 1968 and 1969. 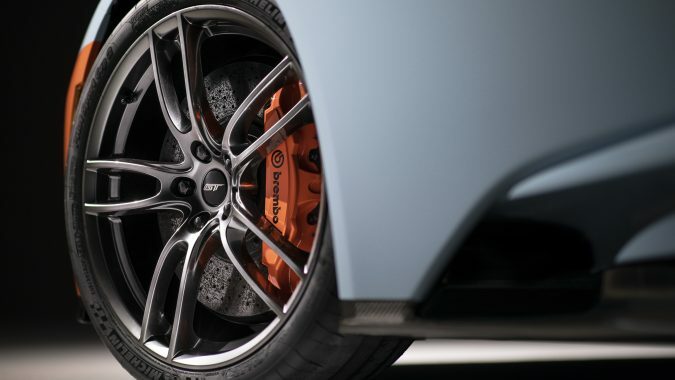 Gulf has many oil industry firsts to its name – including being the first company in the world to open a drive-in fuel station – and this is the first time that a lubricant and fuel manufacturer has partnered with a global Vehicle Manufacturer to produce a road car production model. 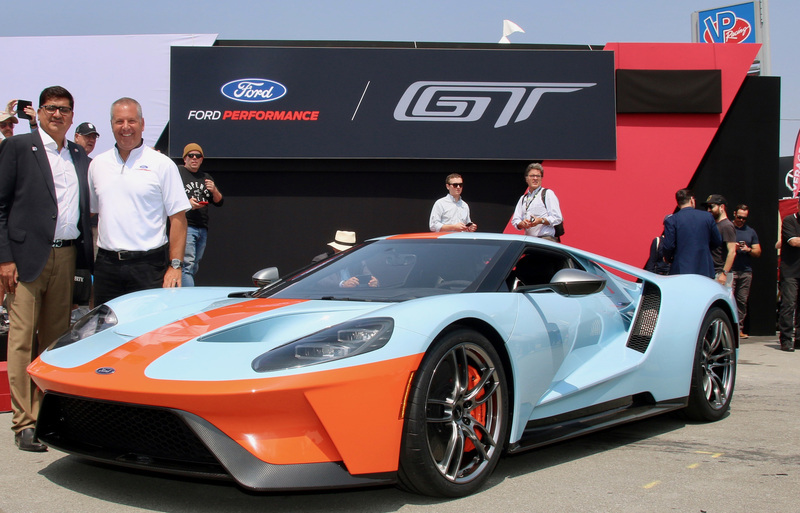 The Ford GT ‘68 Heritage Edition was officially launched at the recent Rolex Historic Reunion event at the Laguna Seca raceway in California on Friday by Ford’s Joe Hinrichs and Gulf’s Ravi Chawla. The car took its place in a specially designed garage, which depicted the 50-year span of success and which featured Gulf-Ford GT40 #1075, the actual 1968 and 1969 Le Mans-winning car. After its launch at Laguna Seca on Friday, the car then moved to the Exotics on Cannery Row (EOCR) street festival. This unique event brings an estimated 150,000 people out onto the streets of Monterey to watch the parade of supercars and the car starred as one of the central features of the Michelin display area that is the focal point of EOCR. Sunday marked the annual running of the Pebble Beach Concours, widely recognized as the world’s number one such event and here the Gulf-liveried car was one of the major attractions of Pebble Beach’s renowned Concept Car Lawn, located on what is usually the practice putting green of the legendary golf course, in front of the famous Pebble Beach lodge. 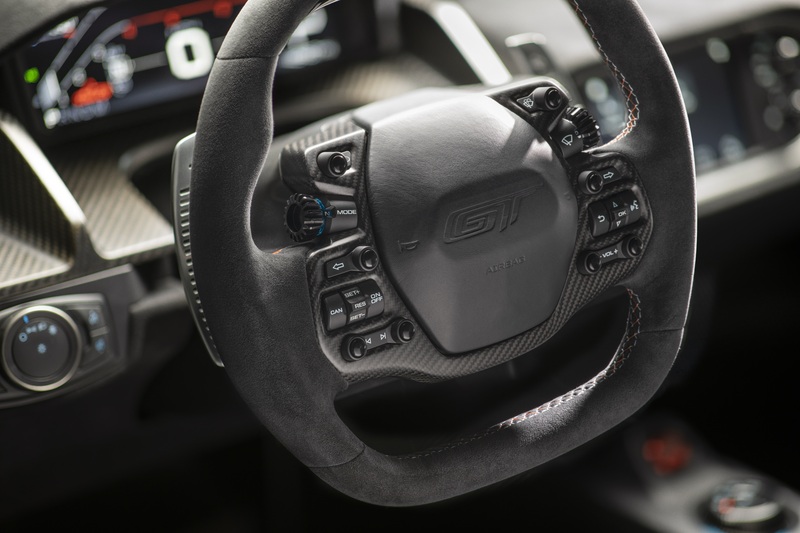 The ’68 Heritage Edition boasts a unique serialized identification plate plus exposed matte carbon fibre doorsills, air register pods and centre console. 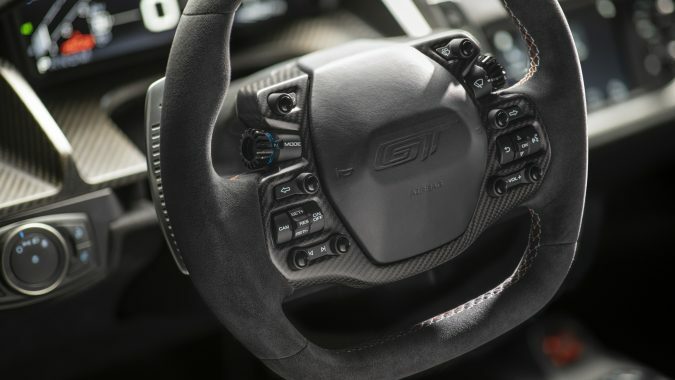 Limited quantities will be available for the 2019 and 2020 model years and, for 2020, the package will boast an optional No. 6 in honour of the 1969 Le Mans winner.